With just four days remaining in the 2017 regular season, seven teams have claimed playoff spots for the WNBA Playoffs in September. With one team left to claim their spot in postseason play, there is still plenty to be figured out in the standings with teams fighting for position as the regular season comes to a close. In the final Race to the Postseason this season, we take a look at how the playoff race is shaping up. 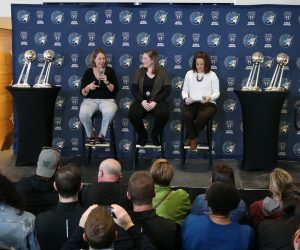 Like they have been for the entire WNBA season to this point, the Lynx remain atop the league standings heading into the final weekend of the regular season. 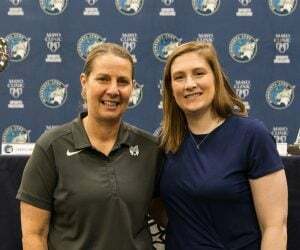 Minnesota, which has won four of its last six games, holds a one-game lead over the Los Angeles Sparks for the best record in the WNBA. 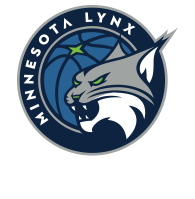 The Lynx will close out the regular season in front of their home crowd at Xcel Energy Center in St. Paul. Home: Chicago (Sept. 1) and Washington (Sept. 3). With two games remaining on their regular season schedule, the Sparks continue to try and fight their way to the top spot in the WNBA standings. After beating Minnesota last Sunday, Los Angeles has found itself within one game of the top spot in the league. 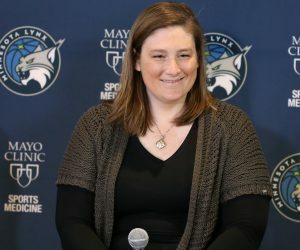 But, if the Lynx win the rest of their games this year, they will clinch first place and the Sparks will remain in second place heading into the playoffs. Like the Lynx, the Sparks will have two home games to finish the year. One matchup to watch for will be Los Angeles’ game against Connecticut on Sept. 3 in LA. Home: Atlanta (Sept. 1) and Connecticut (Sept. 3). The Sun continue to impress people in the 2017 season, going from missing the playoffs a year ago to likely claiming a top three seed this season. Connecticut are a lock to get either the No. 3 or No. 4 seed in the playoffs. The Sun are currently in third place, leading New York by a game in the standings. Connecticut will have a tough schedule to end the regular season, playing Phoenix and Los Angeles on the road. Road: Phoenix (Sept. 1) and Los Angeles (Sept. 3). New York remains one of the hottest teams in the WNBA as the season winds down. The Liberty currently sit in the No. 4 spot, having won eight straight games and trial Connecticut by one game. New York will be at least a top four seed, looking to jump up to the No. 3 seed before the seasons concludes. The Liberty will host San Antonio at home and Dallas on the road to finish out the regular season. Home: San Antonio (Sept. 1). Washington is another team to watch out for when the playoffs begin in the second week in September. With the return of Elena Delle Donne recently, the Mystics are near full strength nearing the start of playoffs. In their two final games to finish out the regular season, the Mystics will host the Seattle Storm before traveling to St. Paul to take on the Lynx. With two games left on their regular season schedule, the Mercury continue to try and climb the standings before playoffs begin. Phoenix, in the No. 6 spot, trails Washington by one game for the fifth seed. Phoenix is also trying to hold onto the sixth seed, leading Dallas by just a half-game. The Mercury will host two home games before postseason play begins, taking on Connecticut and Atlanta. Home: Connecticut (Sept. 1) and Atlanta (Sept. 3). 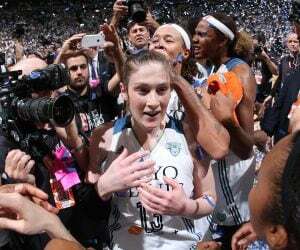 Dallas clinched the seventh playoff spot on Wednesday with a win over the Chicago Sky. The Sky are still looking to fight for playoff position, trailing Phoenix by just a half-game for the No. 6 spot in the standings. Dallas has just one game remaining during the regular season, a season finale game against New York on September 3 in Dallas. Seattle looks to the be team that will claim the eighth and final playoff spot before postseason play begins in a week. The Storm hold a two-game lead over Chicago and Atlanta for the No. 8 spot in the WNBA standings, while trailing Dallas by 1.5 games for the No. 7 seed. Seattle will travel to take on Washington before facing Chicago in what could be a big game on September 3 in the season finale. Road: Washington (Sept. 1) and Chicago (Sept. 3). Chicago is one team on the outside looking in that could have the best chance to sneak into the playoff hunt with two games remaining. The Sky are two games behind Seattle for eighth place, but will take on the Storm in the season finale on September 3. The other remaining game for Chicago will come against Minnesota on Friday in St. Paul. Although Atlanta is still in the playoff run, they will have a tough road to claiming the eighth and final spot. The Dream trail Seattle, which is currently in eighth, by two games in the standings with two games left. Those two games, however, will come against two playoff teams in Los Angeles and Phoenix. Home: Los Angeles (Sept. 1) and Phoenix (Sept. 3).